Situated behind the main clubhouse building the thirteen bay covered driving range is open to both members and non members. The range is open 7 days a week from 8am and on Tuesday, Wednesday, Thursday and Friday is floodlit until 8pm with last balls at 7.30pm. The range ball dispenser will take £1 and £2 coins or you can purchase a pin ticket from reception. For regular users, or for more convenience you can buy a range card and top up as you go. If you want the 15% extra balls that the gold card offers your initial top up is £50. 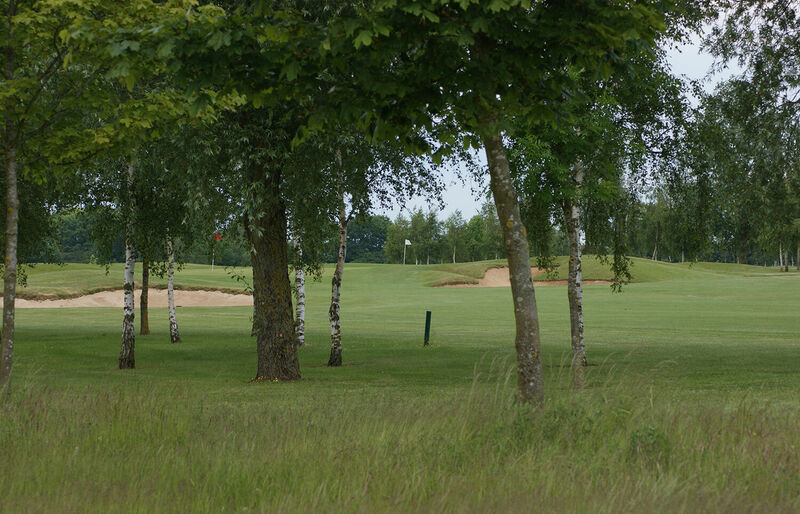 "This is one of the best driving ranges in Warwickshire. The golf ball quality is second to none and the targets are well placed for distances. "